The World keeps on spinning. Around and around and around……….. Meanwhile, up here in the back of the beyond of Ferry County, Washington, Spring has sprung with a vengeance! Mind you, no one is complaining. In fact, we are over the top with glee after the Winter from Hades we experienced that had us at 150% of our average snowfall! We won’t even discuss the sub zero temperatures that had even the hardiest of the life long local souls dreaming of Caribbean sun and sand. So……here we go! Today’s high was 84°. One month ago we still had snow and daily freezing temperatures. Spring is here and THIS is what it looks like in my neck of the woods! 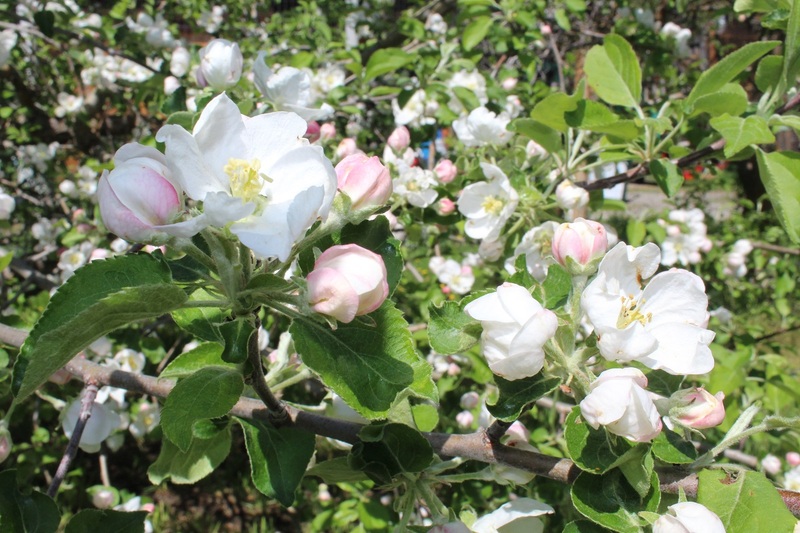 Apple Tree blossoms in our little orchard! 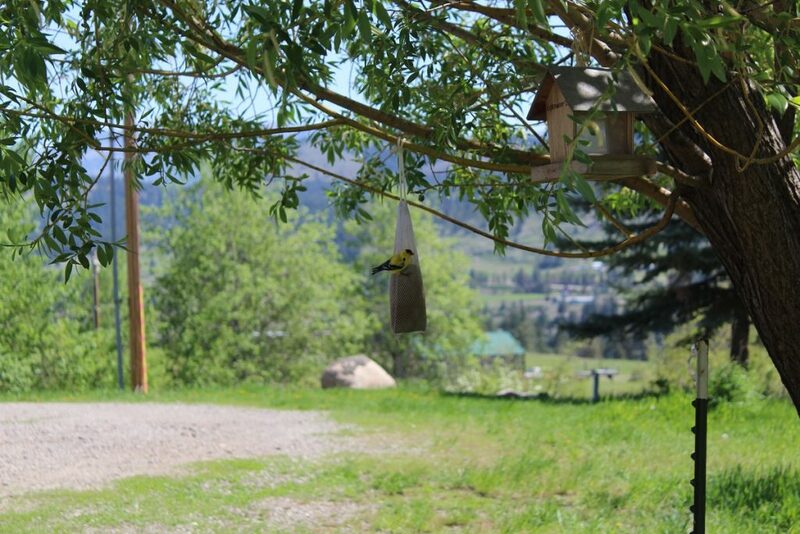 Gold Finch feeding at the Nyjer feed sock. Such a blessing to see these beauties! 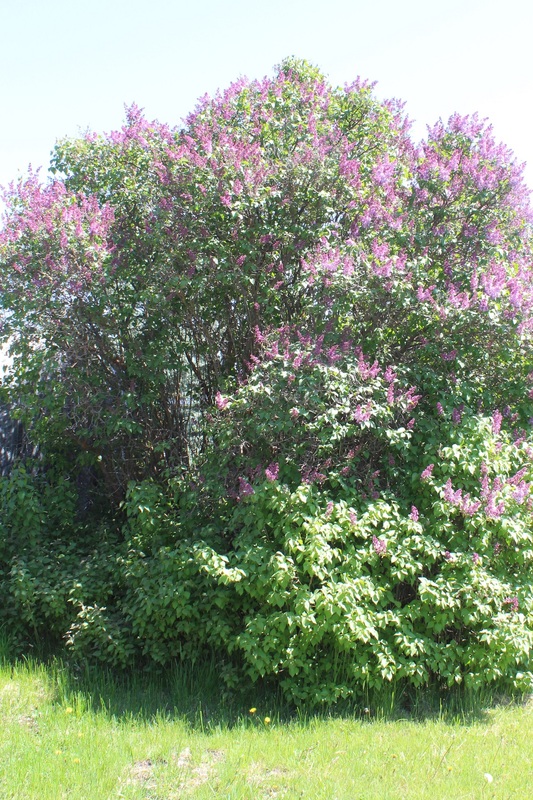 This truly ancient 20 foot high Lilac. It is a holdover from the original settlers, the Bremner family. They lived here and raised their family on Redmond Rd. One of my favorite…well, anythings! Here’s a close up. 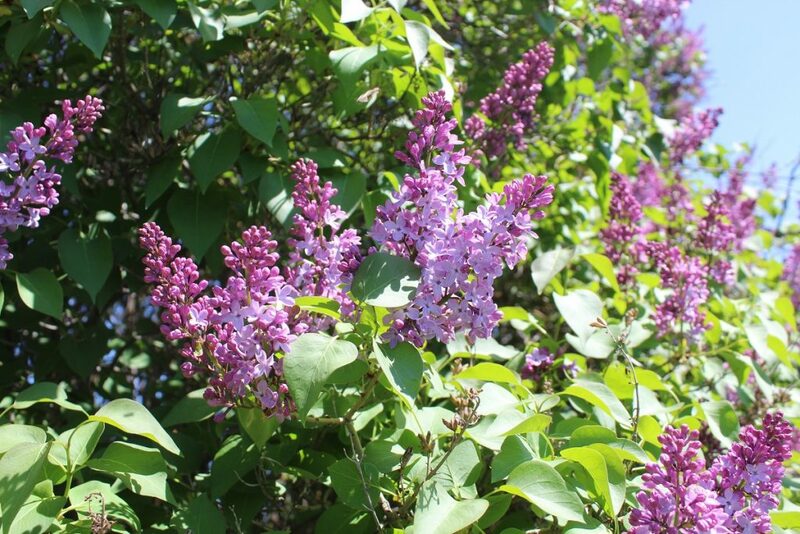 I have a vase of cut Lilac in a front window. The aroma sends me over the moon! 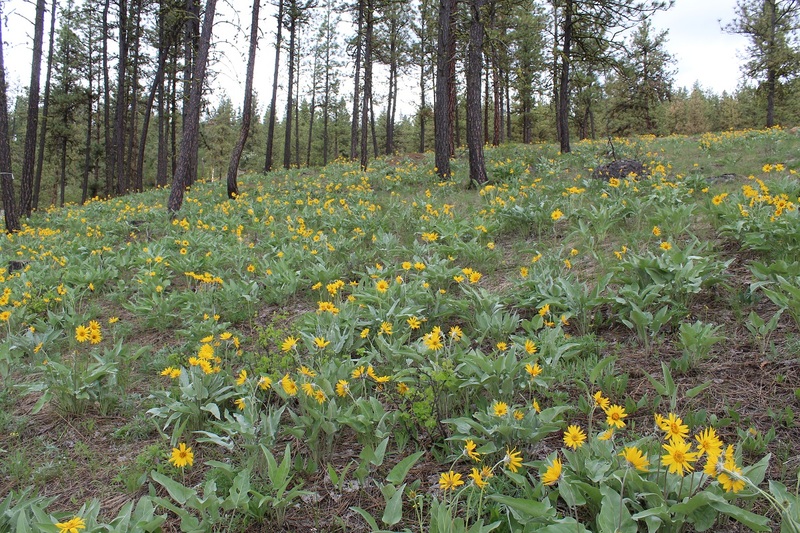 The hillsides are covered with clusters of absolutely stunning Arrow leaf Balsam Root. 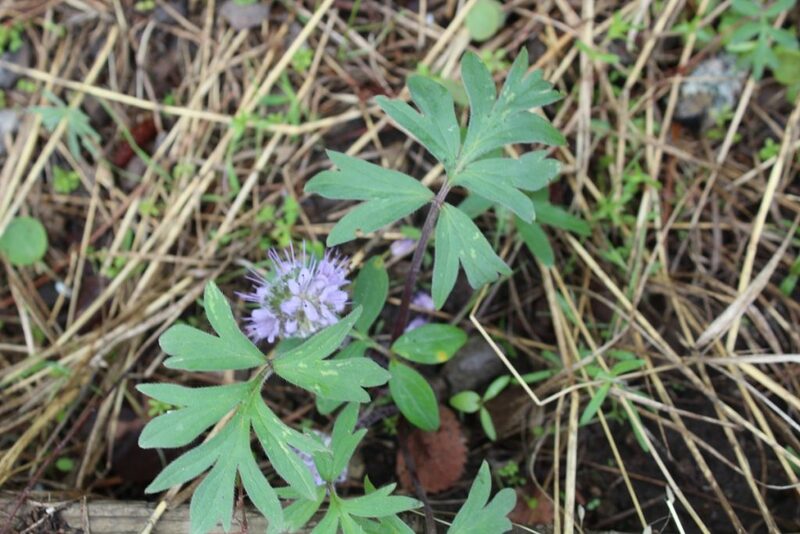 The true harbinger of Spring in Ferry County. The brilliant and cheerful bright yellow makes all of us smile! 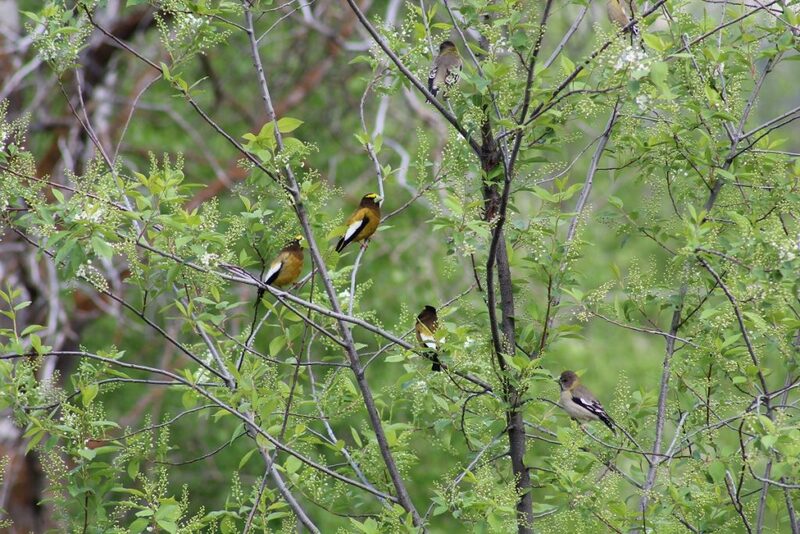 The Aspen….such beauties. 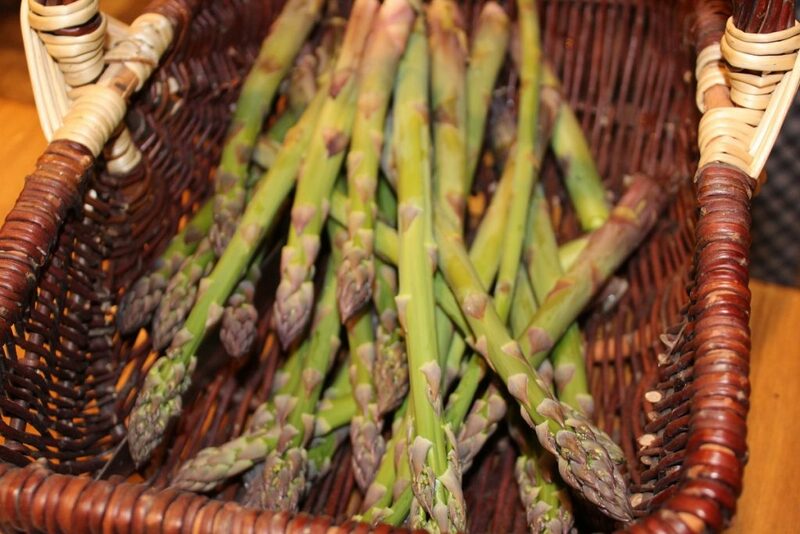 The Spring green is unlike no other. Light, bright, yellow and more. 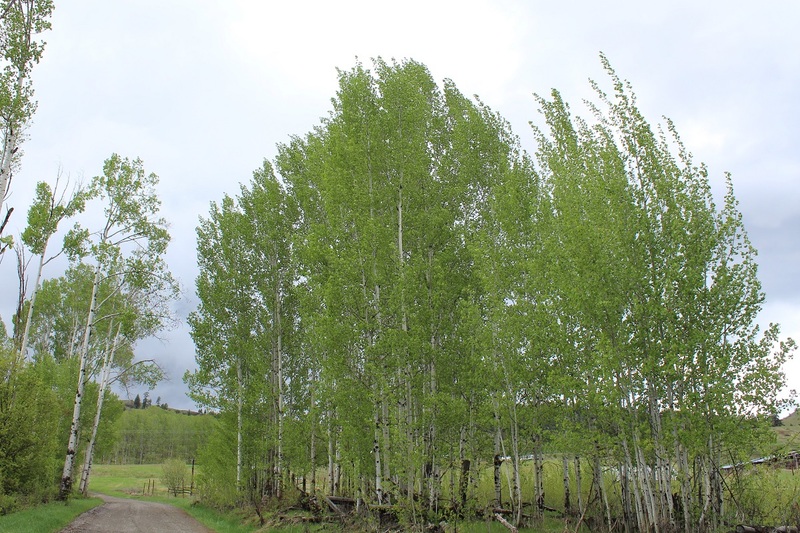 The whisper of Aspen leaves in Spring in pure joy. This at the end of the road we live on. Yep….our dirt road anthem! 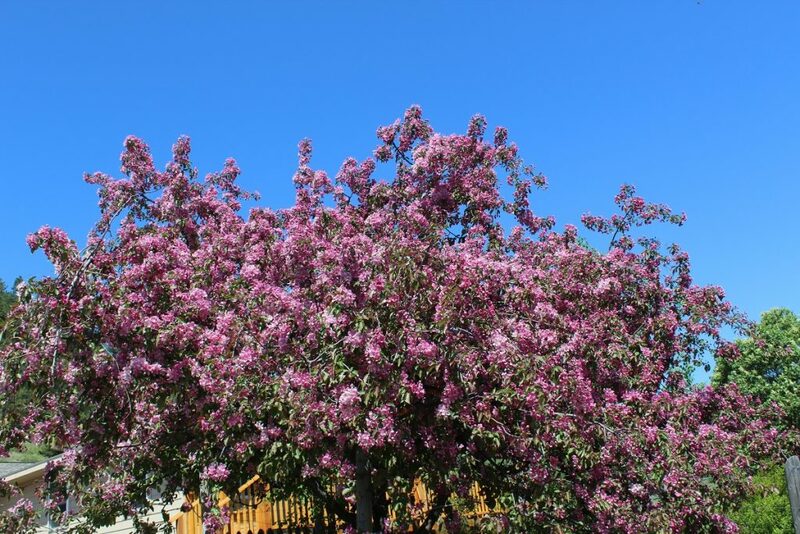 The Crab apple is ablaze in pink glory but more importantly, it is humming with Bees! Honeybees busy pollinating before heading home to make us some honey! A flock of Evening Grossbeaks visiting my feeders. And welcome they are! The hillsides are alive with wildflowers. 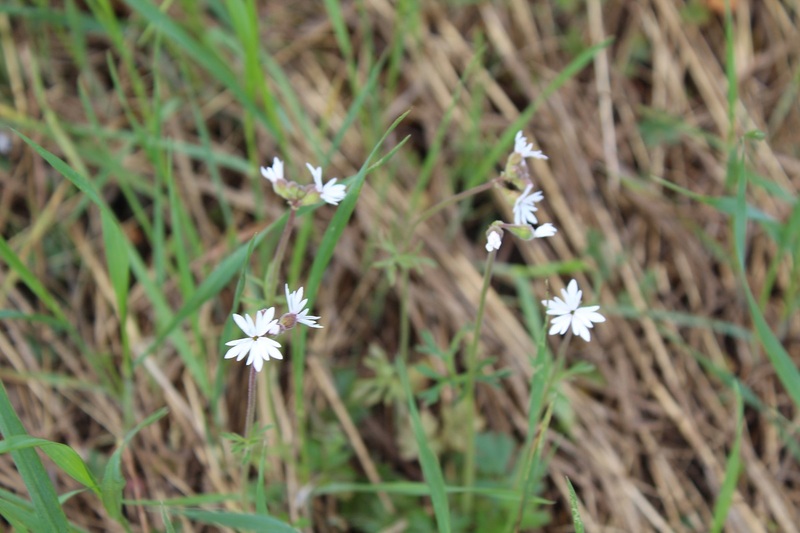 Some so tiny they are hard to spot, like these delicate white blooms. Our these sweet blue lovelies. Apple Tree Blossom in our Orchard today. One of our Pear Trees in all their glory. 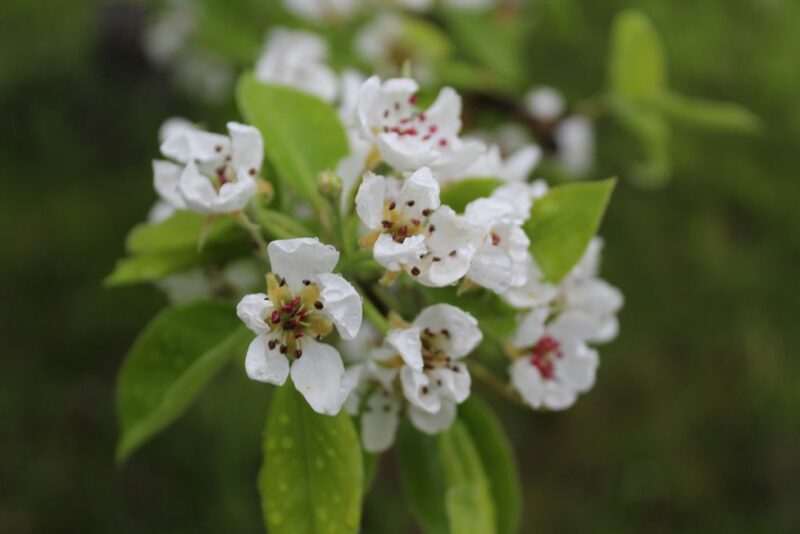 A promise of bushels of Bartlett Pears this Fall! 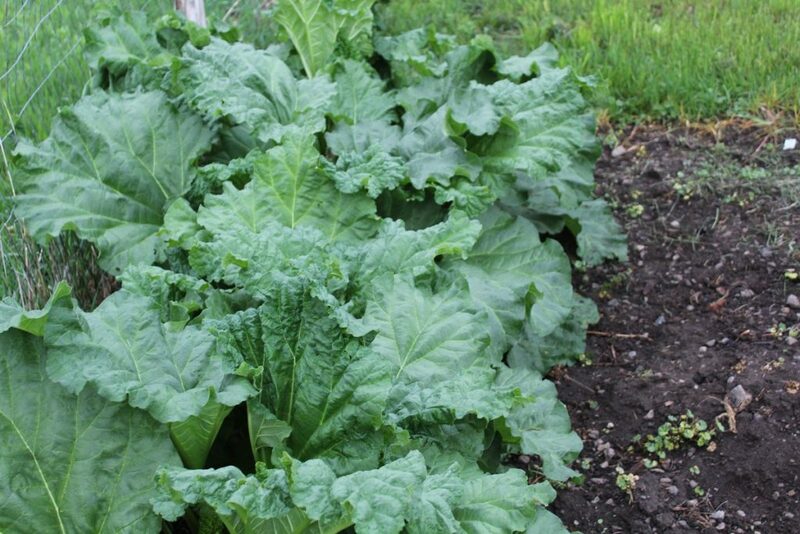 And….Rhubarb! A bumper crop of gorgeous Rhubarb just begging to be made into a pie! And this, my friends is my joy. My heart. Up here in the back of the beyond in Ferry County, Washington. My journey into Spring has been long and sometimes tedious. But those who stay the course and persevere are rewarded. When our paths are trying, we appreciate all the more, the beauty of the reward. PLEASE stop by my website and leave me a comment. I truly love hearing from you all.